Home Health Diseases Hypertension and salt intake: What if We’re Wrong all the way? Greetings steemians and science lovers! Today we’re going to talk about the number one cardiovascular disease in the world responsible for over 7 million deaths/year and the cause of many diseases: Hypertension.In the last years, it has been a significant increase in persons who suffer from hypertension mainly because of the ever-increasing obesity associated with low lifestyles and unhealthy diets.We’ve associated hypertension with high sodium intake for decades, but what if we were wrong? Let’s find out together. We’ve divided hypertension into two groups, renal hypertension, and extrarenal hypertension because the kidney controls the volume of water in the body and a dysfunction can be responsible for renal hypertension. Essential hypertension on the other side is a fixed-increased blood pressure over a long period of time, that has no identifiable cause. The heart is a nothing more than a muscle. 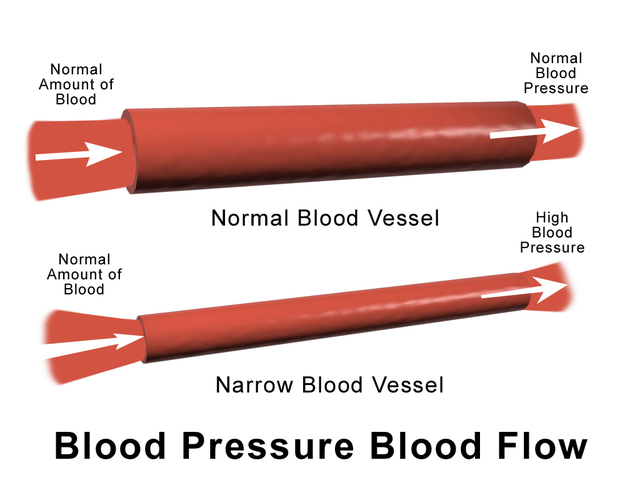 In a relaxed adult, when it contracts (systolic phase), the blood pressure becomes the highest, at this point we call it the systolic pressure(SP). On the contrary, when the heart relaxes (diastolic phase), the blood pressure is the lowest and it’s called Diastolic pressure(DP). We use a sphygmomanometer (blood pressure gauge) to calculate both pressures simultaneously. For a long time, we have defined hypertension as 140 mmHg SP or/and 90 mmHg DP but it was until recently that the World Health Organisation set new numbers, 130 mmHg or/and 80 mmHg. Unfortunately, many physicians are not up to date and they still work based on the old limits. What causes hypertension in the first place? We still don’t understand completely the pathophysiology of hypertension, many theories are really good but unfortunately, some parts are still missing.We think that it’s multifactorial, it includes the age, environmental factors, genetic factors and factors related to a bad lifestyle (Sugary-rich Diets, lack of workout, smoking etc.. ). I know for a fact that when I heard the description ‘multifactorial’, we don’t fully understand the process. Two elements determine your blood pressure: Cardiac output (volume of ejected blood ) and peripheral resistance. Any changes in these parameters affect blood pressure levels. For example, if you start running, your heart rate accelerate increasing your cardiac output and therefore your blood pressure levels increase. What are the major types of salt we consume? Salt is one of the most important ingredients in cooking. It’s mainly composed of two elements: sodium (Na) and chloride (Cl-). We use salt on all different kind of food to add that ‘good’ taste, it can also be used in food preservation (salting). 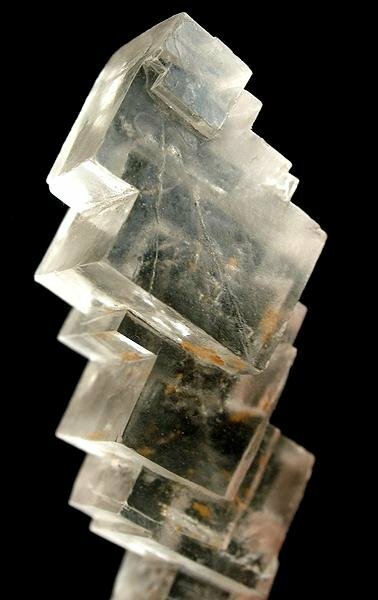 Salt is mainly found in seawater (about 35 grams per liter according to sciencedaily.com ) and also underground in the form of Halite(Rock salt). Sea Salt: Mainly produced by evaporating seawater. Curing salt: Mainly for food preservation. It’s a mixture of basic table salt and sodium nitrite. 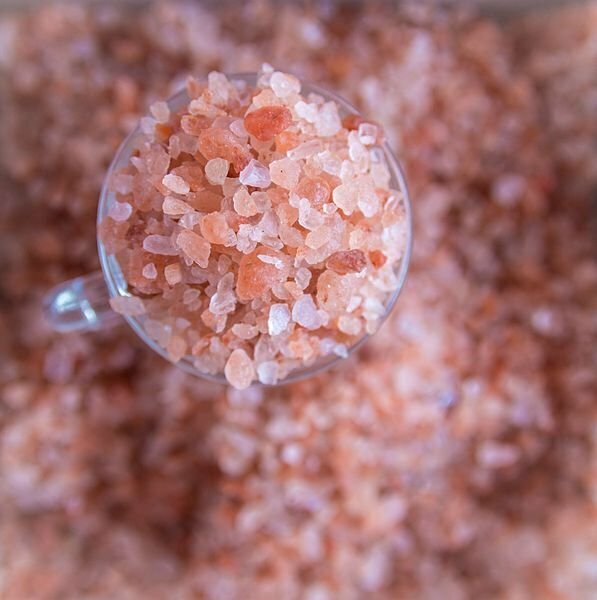 Himalayan Pink Salt: Mainly mined from the Khewra Salt Mine. It does contain small amounts of iron oxide (rust), which gives it a pink color. So as you see we have plenty of salt types and most of them contain excessive amounts of sodium ions. So, what’s the relationship between salt and hypertension? Sodium is the major ion found the body and it’s generally extracellularly divided between the interstitial space(between the cells) and the blood. The cell’s membrane is normally impermeable to sodium making theses ions osmotically active. 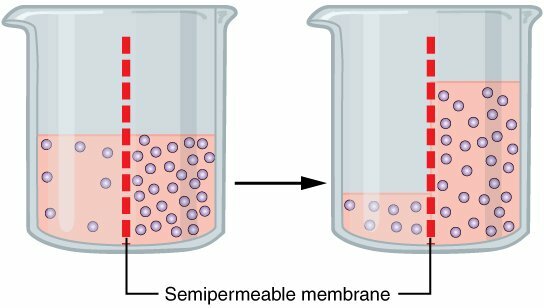 An osmotically active molecule is a molecule that creates an osmotic gradient (different water pressure) between two media resulting in water movement, this propriety is the result of the non-permeability of the membrane to the molecule itself. To put it in simple words, an excess of sodium attracts water to the medium, we call it solute-solvent drag. The end result of sodium excess is a water retention. This excess of fluids results in an increased blood pressure, many studies have demonstrated over and over the relationship between sodium buildup and hypertension, that’s why doctors always insist the patients on dropping their salt intake. To get the whole picture of the process, I advise you to read more about osmosis. There’s no question about the direct link between high sodium intake and cardiovascular diseases.Many epidemiological studies and clinical trials support this claim, the debate began when we start defining the daily intake of sodium.The recommendations of the World Health Organisation are not the same as the American Heart Association and The US Food And Drug Association, recommendations are generally below 2500 mg/day. The quantification of sodium intake is indeed hard and it requires watching regularly many parameters especially if we count individual factors specific to each person such as sodium excretion through the urine and the sweat, sodium absorption by the gut and other factors. The previous epidemiological studies are now accused of mal-observance and a lack of consideration, they become unreliable. The picture above shows the prevalence of hypertension in the world in 2014. Canada is one of the countries with the lowest prevalence although the average consumption by Canadians is 3400 mg/day, that’s way higher than the recommended intake ! I mentioned earlier that we don’t fully understand the pathophysiology of hypertension so there’s no real evidence that a certain diet will work on two different peoples, what we have for evidence are just statistics. Nevertheless, it’s just stupid to overlook all the studies that have demonstrated the harmful effects of high-sodium diets on the cardiovascular system. In 2017 a group of researchers at Boston University School of Medicine studied the levels of blood pressure in 2,600 men and women for 16 years, the participants had normal levels at the beginning. Participants, who consumed less than 2500 milligrams of sodium a day, had higher blood pressure than those who consumed higher amounts. Participants who consumed high amounts of potassium, calcium, and magnesium were more likely to have lower blood pressure. First, It supports the countless studies that related the high sodium intake with an increased cardiovascular risk. Second, it criticizes the tendency toward low-sodium diets as a treatment for hypertension. The complexity of blood pressure regulation makes some people more sensitive than others, that’s why some low-sodium diets work so well for them, maybe these diets work in the short-term but increase cardiovascular risk in the long run? we really don’t know for sure and further studies need to be done. Nevertheless, this study showed us a different point of view regarding the treatment of hypertension but there’s just more to it. Thank you very much for taking the time to read my article, please if you have any question feel free to leave a comment below. Next articleElectromagnetic hypersensitivity (EHS), a potential future threat?